London couldn’t get more sophisticated than this my darlings! Balenciaga is in town. 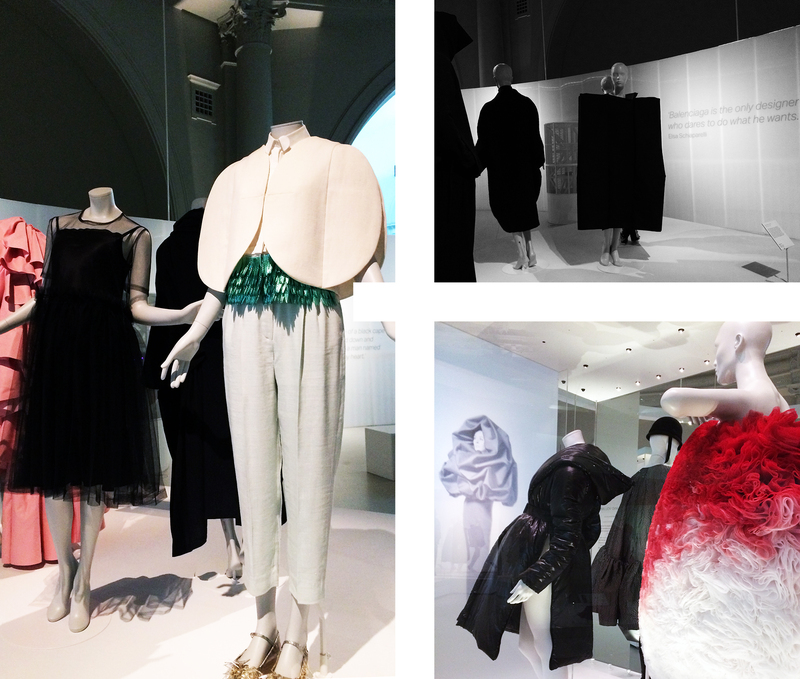 At the heart of this city, the Victoria & Albert Museum has set an exhibition that has encouraged all fashionistas, researchers and members of the public to wait for weeks just to have the pleasure of seeing closely some of the creations of this iconic designer. Balenciaga’s exhibition shows why he has been considered “the Bible” by Givenchy and “the only designer to dare to do what he wants” by Schiaparelli. Indeed my dear readers, this genius did what he wanted and in the process, he left an inspirational surfeit for established and new fashion designers. Today, Balenciaga’s creative director Demna Gvasalia continues to pay tribute to the exceptional vision of Cristóbal Balenciaga, while fine-tuning it to fit the outline of current trends and lifestyles. This Fall/Winter collection for the French house featured tilted and gargantuan silhouettes for an edgy update on wardrobe basics. Gvasalia instils Balenciaga’s tailoring DNA with unique edge and playful proportions and volume. Balenciaga’s Collections. Clockwise: 1940’s classic shapes/ Experimenting with new shapes/ “one seem” dress. 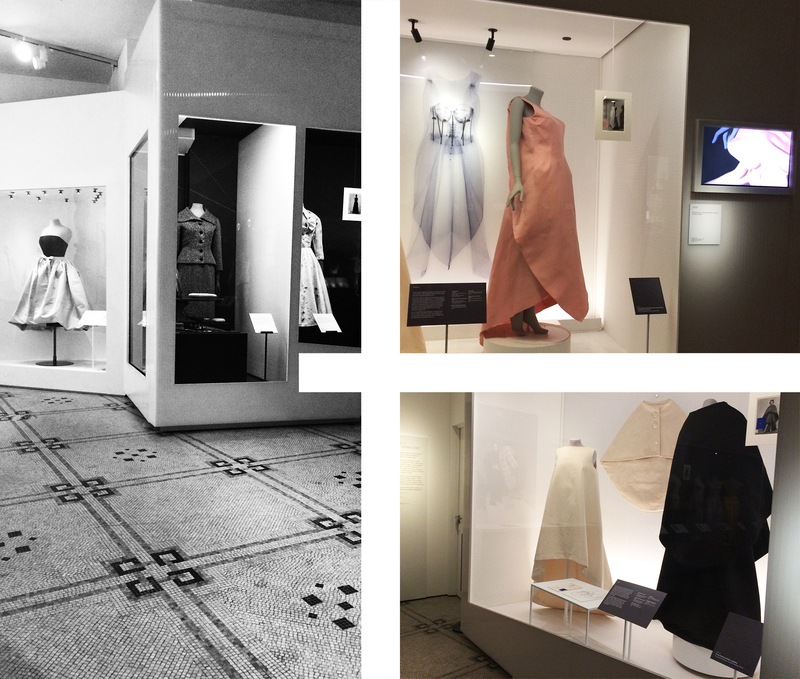 This exhibition goes from past to present and tells the story of how, in August 1937, Cristóbal Balenciaga opened his first Parisian couture house. Since then his incredible design talent came to light and hasn’t stop illuminating the creative minds of the past and present centuries. In 1951 the Spanish-born couturier created a brand-new silhouette, broadening the shoulders and removing the waistline. He continued to innovate with shapes that the world had never seen before, creating the likes of the tunic dress and kimono coat. Original Balenciaga haute couture creations are still considered masterpieces today, in particular the sculptural pieces produced throughout the ’50s and ’60s. Balenciaga also had an innovative approach to fur. He would play with the theatricality and flamboyance of the material such as capes lined with lynx fur, which were identical to those worn in XVI century Italy. He would also use it as clean lines working with shaved mink on geometric shapes to emphasize silhouettes. He wisely made use of the disappearance of wartime material restrictions at the end of the 40’s and provided clothing essentials (such as coats and hats) with mink and fox details that provided the ultimate status symbol of the era. Furthermore, he gave fur the main stage by making whole garments with fox and sable mainly at the end of the 50’s. Later, he would add all-fox fur hats in the 60’s to provide his designs with the necessary glamour demanded for the popular cocktail hour. In a few words my precious readers, he was the master of the polished, “tied-together” look. 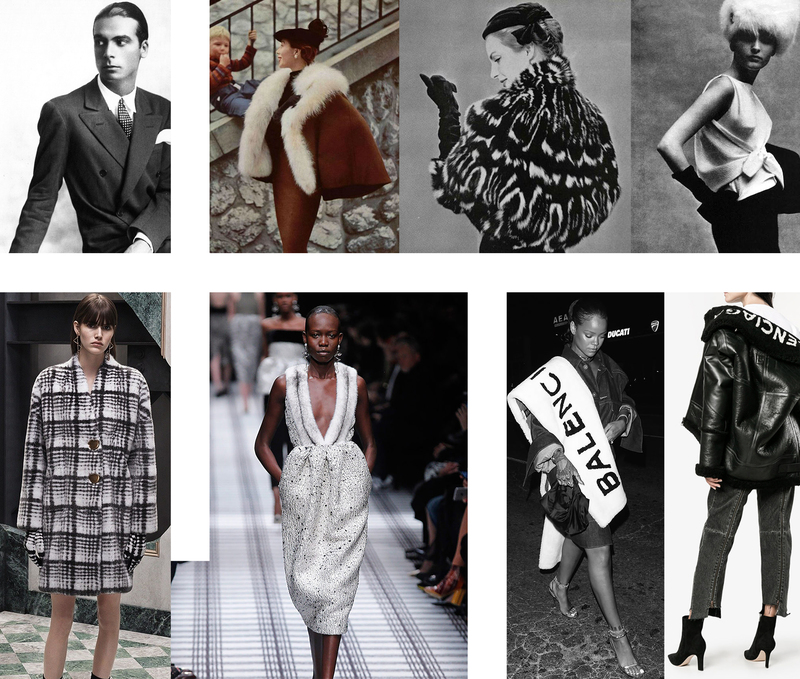 From top left to right: Balenciaga/ Balenciaga Fox Fur Detail Jacket, 1950/ Chinchilla Bolero, 1954, Fox fur hat, 1963. Nowadays, Balenciaga preys on all, past and present, creative directors of his fashion house. Examples such as Alexander Wang’s shaved mink cocoon coat or Gvasalia’s simple replacements of fabric with fur in day-to-day trench coats and bomber jackets come to prove that his rationale still applies for the mid-to-upper ranks daily life. They are not alone; this exhibition proves how the Spanish designer is still relevant for all the creative minds around the world. It illustrates how a lot of the most popular catwalks have been inspired by his ground-breaking approach to shape and material. 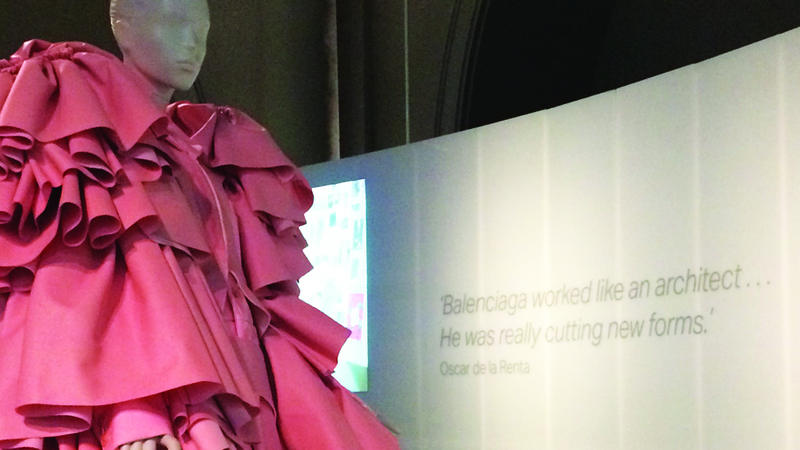 Balenciaga Exhibition V&A, 2017: His influence on contemporary designers’ collections. Cristóbal Balenciaga died in 1972, but his legacy and firmly established design codes live on in the house as we know and love it today. Under the ownership of the Kering group and with Demna Gvasalia at the helm, Balenciaga continues to be one of the most iconic and influential fashion houses in the world. P.S. For my readers’ delight, next week I will be sharing the love for fur, travels, good food and design with one of the most innovative and talented furriers of this generation: Rebecca Bradley.  Get cosy and warm, she will share with us a journal with her travels to Greenland, her favourite experiences and all the skills she learned in this amazing land.